RunCam is now available on ATees! Check out the RunCam 2 HD Action Camera, or the increasingly popular RunCam Swift FPV Cam! Price is acceptable and cam works very well. Very fast delivery! Quality packaging! Everything is super! This has been my go-to camera ever since it came out. One of the best all around FPV cameras on the market! Very nice cam, works good in low light. Received product within 2-3 weeks. 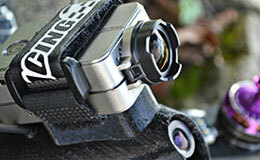 Best FPV camera for our FPV RC Scale Adventure Time Challenge rental. I wasn’t happy putting a GoPro on my quadcopter because it’s simply too big! The front profile of a GoPro create so much drag that it really affects the handling. I needed an alternative and the Runcam2 was PERFECT for my application. I have it mounted to the angled stack of a ShenDrones Krieger and because of it’s very low profile and light weight, I’m able to go fast with minimal affect on handling. What I really like about the camera is the built-in WiFi because it’s fast and easy to review your HD footage on a mobile device using the app. Runcam is a proven brand for FPV video and cameras, you can’t go wrong buying this product. 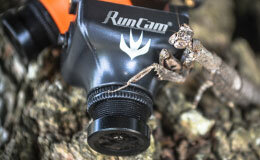 RunCam is established in 2013. Committed to the research and development of FPV cameras and camcorders, we launched multiple products that have gained popularity among FPV pilots. To us, quality is a habit, not an act. Our users are our friends, we want you to be thrilled and be passionate by our products. RunCam is born for FPV racing. Be brave, take risks. Experience has no substitutes. The will to win, the desire to succeed, and the urge to reach your full potential. Together we can achieve so much more than being alone. Runcam needs you and you need Runcam.